Need Help? Want additional photos or information? Get in contact with us. 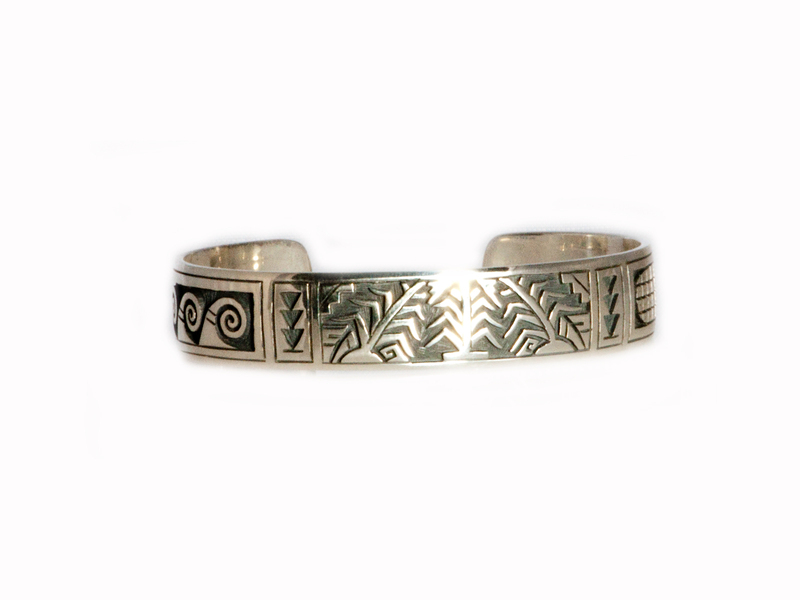 Sterling Silver Corn Cuff handmade by Hopi artist Clifton Mowa. 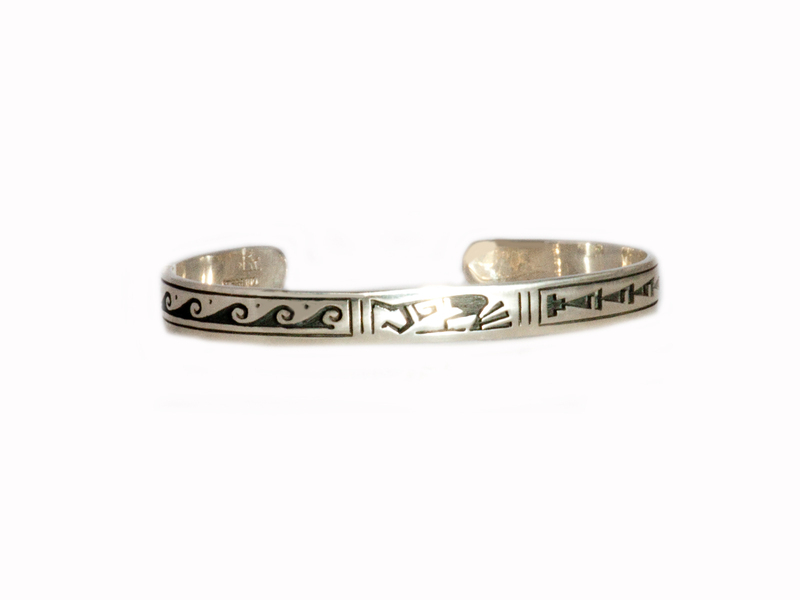 The cuff features sterling silver overlay with water and corn designs. 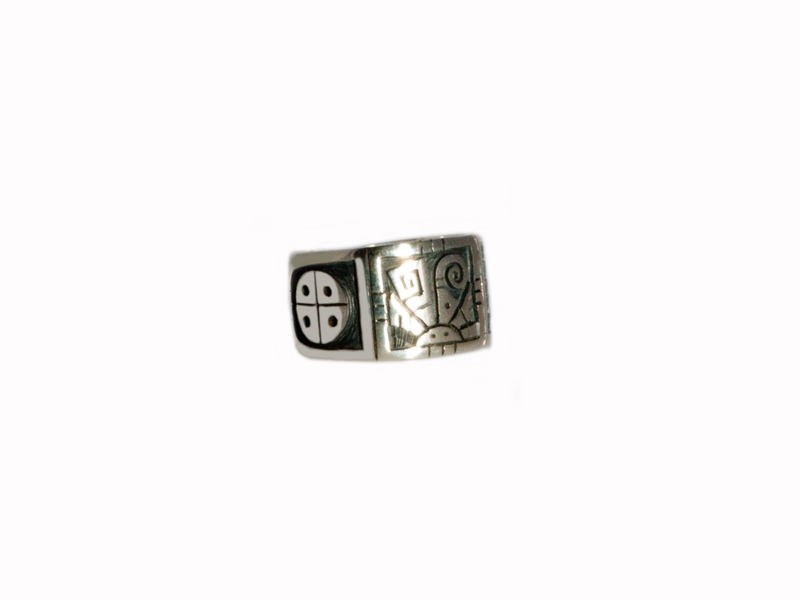 The cuff measures 1/2″ inch wide with an inside circumference 5 1/2″ inches from end to end with a 1″ inch wide opening. Known as the “Peaceful Ones,” the Hopi Indians have made the American Southwest their home for hundreds of years and their jewelry illustrates the rich and spiritual history of their culture. The Hopi use symbols in their art such as bear paws and eagle feathers to provide spiritual protection and encouragement. 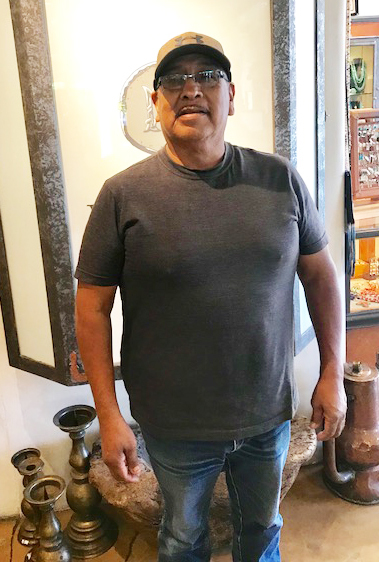 Hopi artist, Clifton Mowa has been making jewelry for over 40 years. He learned the craft at the Hopi Silvercraft Cooperative Guild. He belongs to the Sun Forehead Clan and resides in the Hopi village of Shungopavi in Arizona. 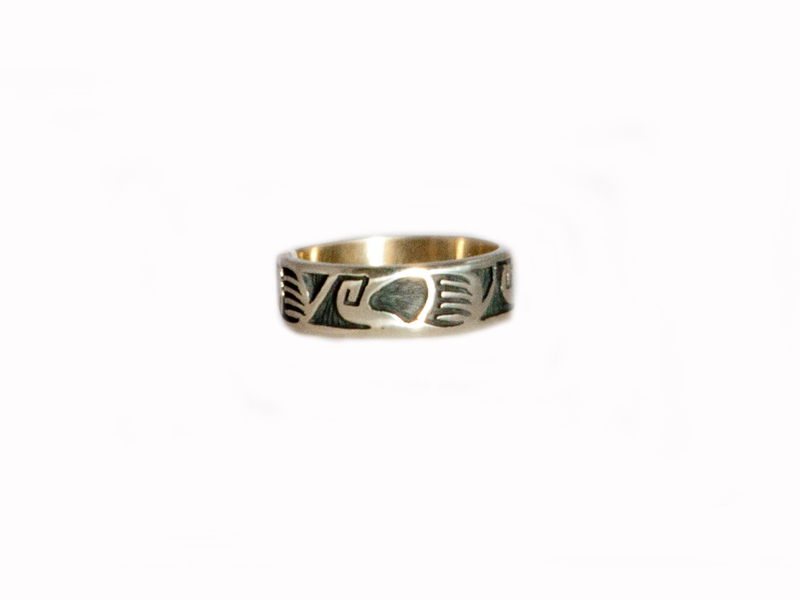 His designs often include the half sun symbol and pegasus crafted in the traditional Hopi etched overlay in sterling silver. Malouf on the Plaza is located in Old Town Santa Fe on the corner of the historic Santa Fe Plaza, a bustling center of commerce long before the Pilgrims arrived at Plymouth Rock! Malouf on the Plaza is a three-part act: jewelry, weavings and fashion. Native American jewelry is enjoying a renaissance as people realize that where and how things are made is as important as the look they desire. Malouf on the Plaza works directly with over 75 jewelry artists in both Native American and Contemporary Jewelry Designers. To find rare Navajo weavings in excellent condition, Malouf on the Plaza maintains relationships with traders on the reservations, retiring collectors and Native American families. In addition, they purchase from established contemporary weavers, to continue this wonderful tradition that is in a generational decline. If you are seeking a decorative rug, Malouf on the Plaza produces Native American designs made by Zapotec Indians in Central Mexico. Woven to the highest of standards, these collections give you size, color and price options. Malouf on the Plaza also offers Native American rug designs made in Nepal and India for additional decorative options. The Malouf family has a 90-year retail history and their stores are recognized nationally within the industry, but more importantly, shopped buy thousands of customers who enjoy the personal approach to luxury shopping. With a fourth generation in place, their mix has never looked more spirited. This apparel area features the very best of Italian and American Contemporary designers. A new wave in fashion is to support sustainable women’s co-ops that directly impact families in various parts of the world. Currently there are five such groups making unique items for Malouf on the Plaza. They also carry shoes and represent men’s wear, edited from their larger men’s wear store in Texas. For Karen and Scott Malouf, to live and thrive in Santa Fe was their dream since 1981, when Scott proposed to Karen on a snow-covered road in New Mexico. The dream was finally realized in November 2013, when they opened on the Plaza. All Sales Final. No refunds. Exchanges to be received by Malouf on the Plaza within seven (7) business days from date of purchase for store credit only. Interested in Fashion for Him & Her?